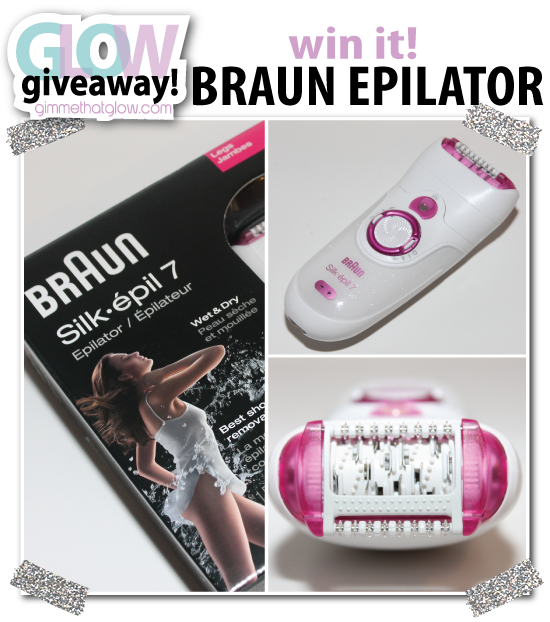 Braun Silk-epil 7 Wet & Dry Epilator Review + Giveaway! Now that summer is swiftly approaching it's time to break out of those cool weathered clothes and show some skin! But before you hop into those summertime sundresses and swimsuits you've gotta make sure that your skin is ready to be seen. Personally, I've tried just about everything when it comes to removing unwanted hair and have yet to decide on just which method I like best. 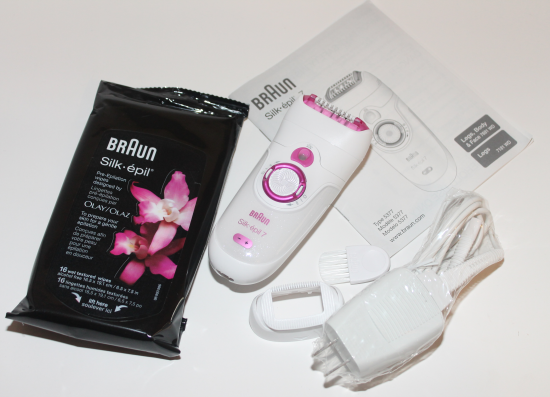 I was recently approached with the opportunity to try out an Epilator by Braun. I have to admit that I was totally clueless as to what exactly an epilator was because I had honestly never heard of it until now. 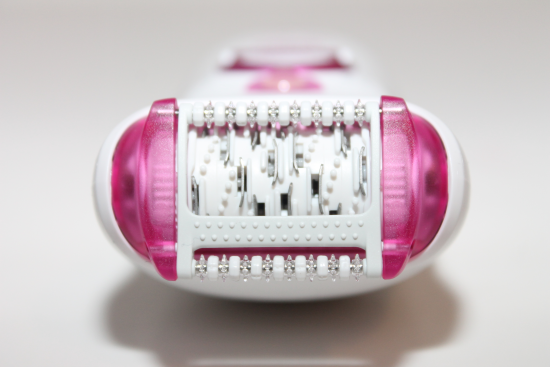 An epilator is basically an electronic device that removes unwanted hair by simultaneously grasping multiple hairs and pulling them out at once. You can think of it as a dozen tiny tweezers all working at the same time.The epilator that I got to try out is the Braun Silk-epil 7. The cool thing about this model is that it can be used either wet or dry. The device claims that it's able to remove the shortest of hairs even as tiny as a grain of sand. It features 40 tweezers with a close-grip technology for thorough hair removal. It's also cordless! All you have to do is charge it and its ready for use. 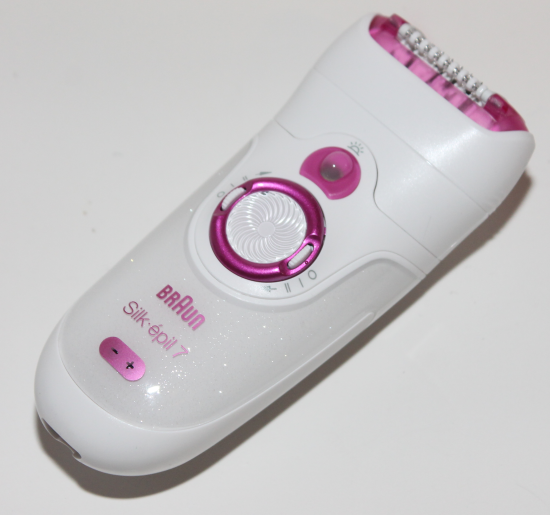 If you've never used an epilator before I would suggest checking out Braun's epilation page which has a lot of helpful information! and a set of wet Pre-Epilation wipes. An up close look at the tweezers. Glow: I'm not sure where to even start other than this little device is simply amazing and oh so powerful! Braun also sells different attachment caps separately that can be used on different areas of your body such as underarms, bikini area and even your face! Since this particular model only comes with the standard caps I only used it on my legs. The epilator can be used dry or wet so I decided to test it on one leg completely dry and the other leg in the shower. Upon initial use it took a minute or two to get the hang of figuring out which direction was best to use the device. This all depends on what direction your hair grows in, which can sometimes vary. So I found that what worked best for me was simply an upward and downward motion. The hair came off effortlessly on both legs. 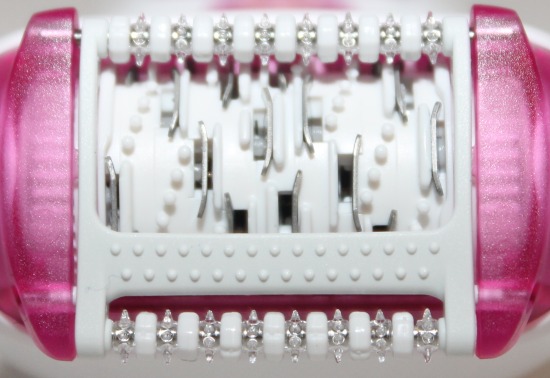 The epilator has a dial wheel that powers the device on and it has 2 different settings; extra gentle and extra efficient. It also has a smart light that stays on while the device is in use which helps you see every hair. I like that it's very easy to clean, the attachment caps come apart and the small brush that comes with it allows you to get in all the corners to remove the stray hairs. Glare: Well, prior to using this my main concern was "does it hurt" ? Yes, it does. In comparison to waxing, threading, and plucking does it hurt the worst? To me, it does. I can only speak from my personal experience as everyone's tolerance level of pain is different. I consider myself to have a pretty high tolerance which is why I believe I was able to get through both legs. It's definitely not excruciating or anything but it's surely an awkward feeling when you first use it. It feels sort of like tiny pinches going across your skin. After testing both legs, one wet one dry I found that wet worked best for me. Honestly using it in the shower under warm water really made a HUGE difference for me and it helped soothe my skin during the removal process. If you do decide to use it dry, just make sure that you put a towel down beneath you because the hair does fly out a little bit. The bottom line is that the pulling of the hairs does take some getting used to but much like any other hair removal process once you do it a few times you become more and more tolerable to it. Would I Recommend It? I really would, while it's definitely not for the faint of heart it does deliver great results. Would this be my go-to method of hair removal every single time? Probably not. The results lasted for about a good week and a half before I felt the stubble growing back. Oh! And I'm so happy to report that I experienced ZERO skin irritation which is a huge plus for me ^_^ I'm also definitely considering buying a couple of the other attachments to see how it works in more sensitive areas such as my underarms. Where To Buy: The Braun Silk-epil 7 Wet & Dry Epilator along with other models are currently available at various retailers nationwide. Prices and styles vary by store, to learn more or to find a retailer location near you please visit http://www.braun.com. You can also click here to see a video of the epilator in action and click here to learn more about their other models. From my point of view, an epilator is the best solution to remove unwanted hair, besides the permanent hair removal method, which, right now it is too expensive for me. 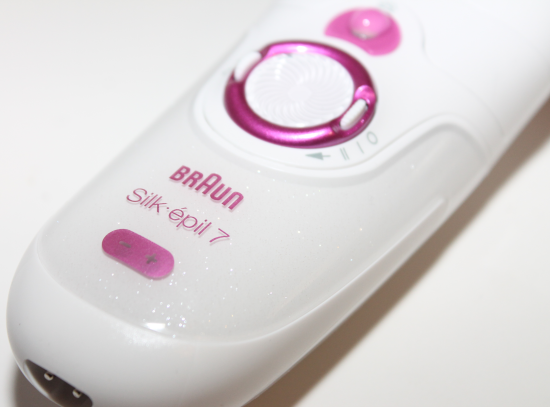 My perfect epilator is Braun Silk Epil 7 7681. 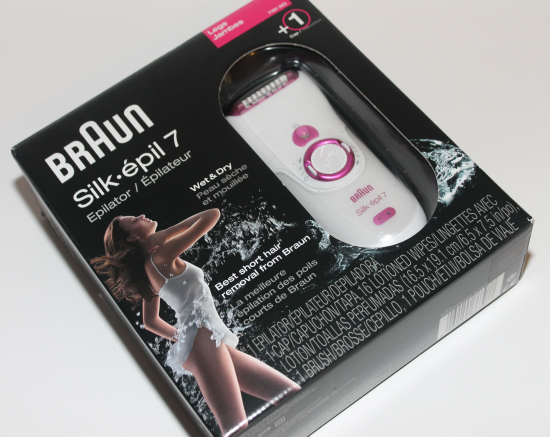 Braun Silk Epil 7681 is an excellent choice. It's the best epilator out there and it has a dedicated facial cap so you can definitely use it to remove facial hair. And you will only have to use it once every two weeks.